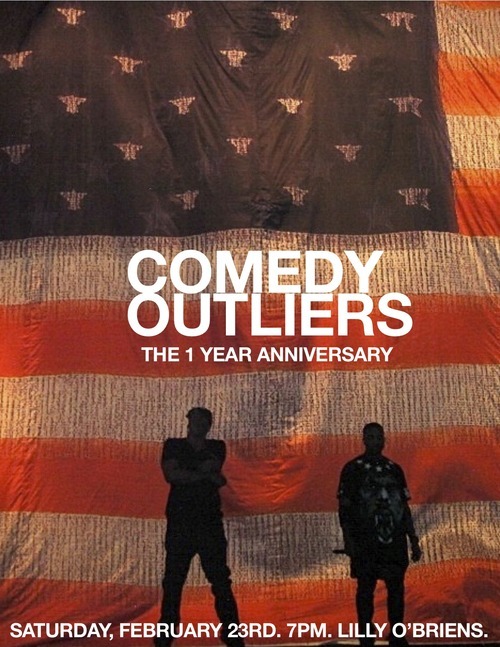 Comedy Outliers: Four Comedy Shows We Recommend You Check Out…When Not Seeing Ours! 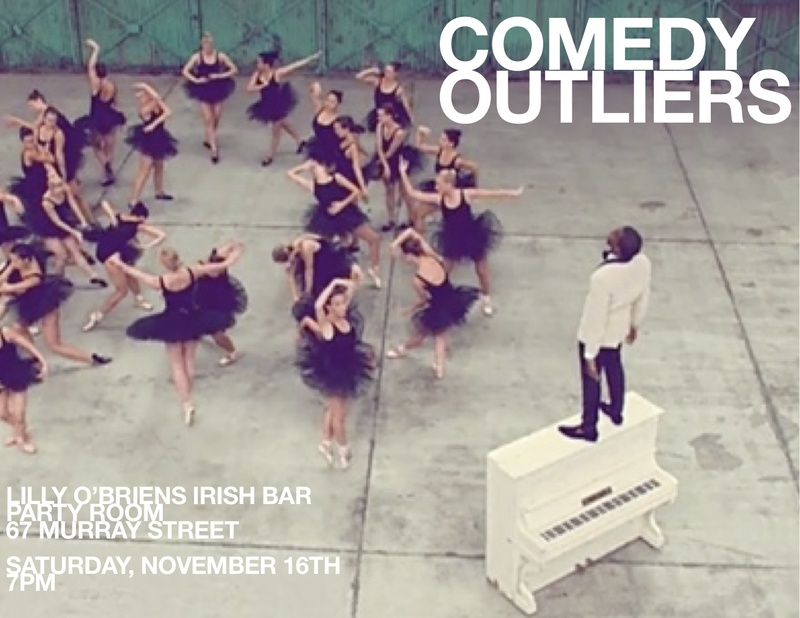 The Comedy Outliers have a show coming up this Saturday, November 16th at Lilly O’Brien‘s in New York City. Their shows are free but we highly recommend you pick up tickets so you don’t show up to a full house. This grungy showcase runs every Monday and is produced by comedians Michael Che, Nimesh Patel and Mike Denny. It has become one of the best spots in NYC to check out stand-up comedy without having to pay a steep cover and ridiculous drink minimum! The witty banter between the producers (lots of drunken mumbles will be heard), the free reign vibe and big leaguers like Hannibal Burress and Aziz Ansari occasionally dropping-in will add some organized chaos to your Monday evening. Don’t be swayed if the show starts a bit later than originally planned…the cheap drinks, solid bar food and comedic talent make it worth the wait. Tags: AM New York, cheap drinks, comedy, Comedy Central, comedyoutliers, FREE, fun, hilarious, Manhattan, MTV, nightlife, raffles, Stand Up. 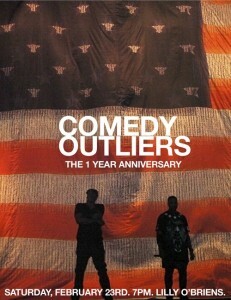 Tags: AM New York, Brandon Collins, Comedy Outliers, Lilly O'Briens, Mike Brown, TimeOut NY.